Driven by the conscious effort in conserving and saving the environment, Lions Club came upon the ingenious green idea of donating and planting more trees at UTAR Perak Campus. The idea which formed one of Lions Club's main environmental projects would help UTAR in spearheading its own green campus project. A total of 50 trees were donated by Lions Club and the types that were chosen have shady dispositions and were easy to maintain. They included Star Apple, Cinnamomum Iners, Ficus and Flame of Forest (Red Flame). Fittingly, a tree planting ceremony was conducted on 8 August 2010. The plot of land earmarked for the tree planting was located near the South entrance gate. More than 100 members of the Lions Club, some from as far as Taiwan, Indonesia and Thailand, attended the meaningful event. Present to welcome the group were Ir. Chan Cheong Loong, Dean of the Faculty of Engineering and Green Technology and UTAR staff. In his opening speech, Lion Chang Gwo Chyang said, "Tree planting is one of the many environmental projects implemented by Lions Club. It is our hope to do our part to protect our natural environment especially at this beautiful campus." Ir. Chan, who represented UTAR President at the event, expressed the University's gratitude to Lion Lim Choon Chee from the Lions Club of Tapah Central for donating the trees and to Lions Club for making the event a success. He stressed that the conservation of the natural environment surrounding the UTAR Perak campus was given due consideration in spite of the numerous physical developments that were taking place at that moment. 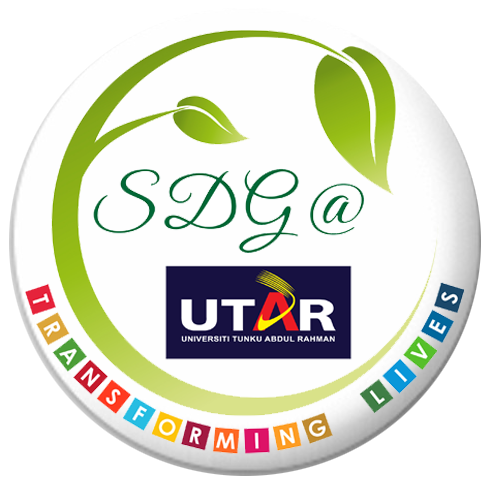 He said, "Our aim is to make the UTAR Perak Campus a green, happy and healthy environment to work and study. Thus, today's tree planting ceremony symbolises the commitment of UTAR and Lions Club in promoting environmental responsibility that is essential in building a sustainable future."